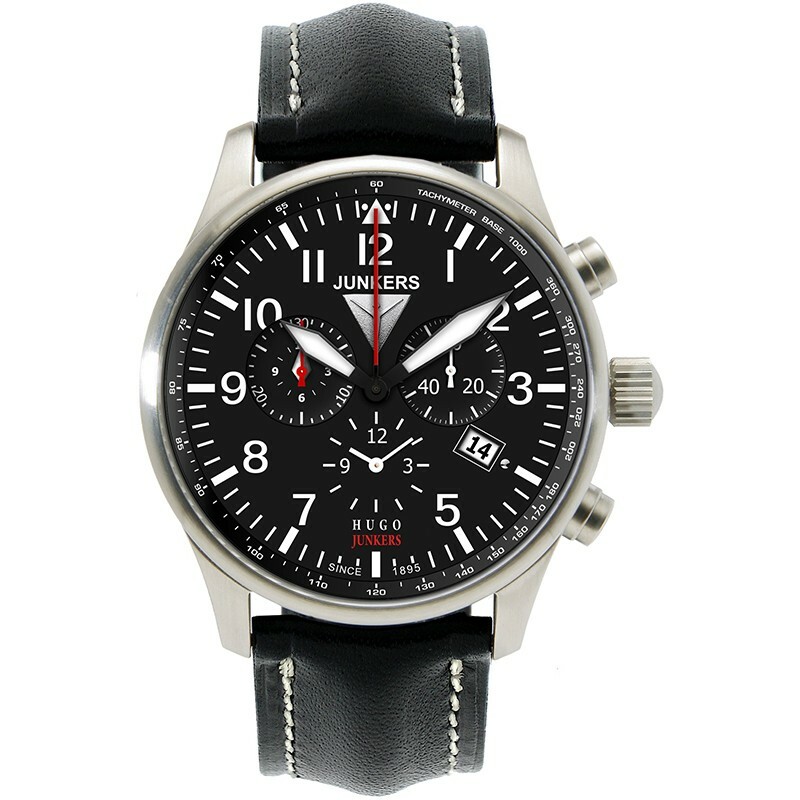 The Hugo is an exceptionally stylish and affordable pilot style watch. 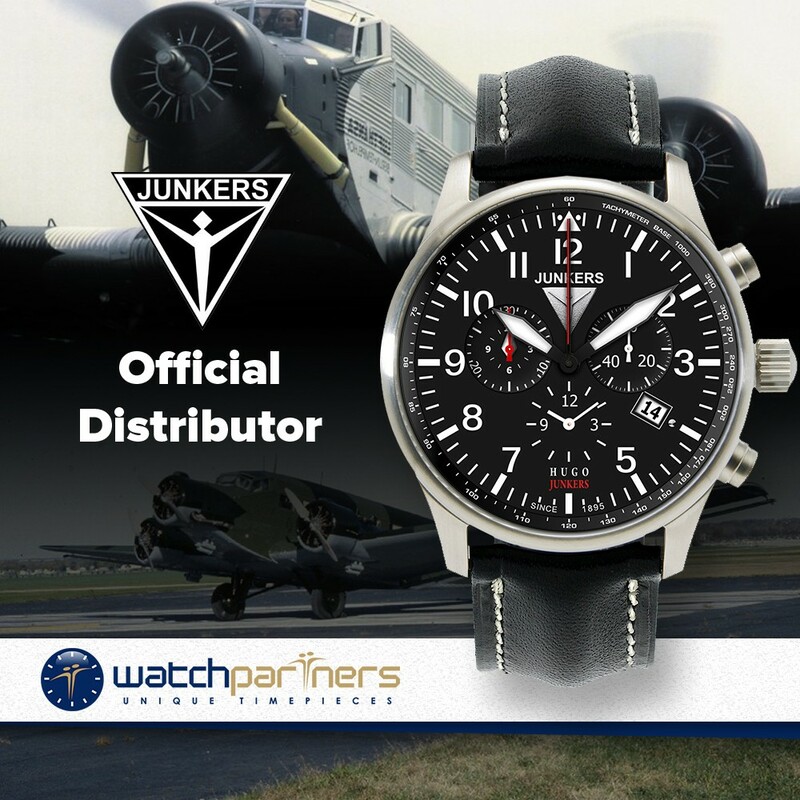 Dimensionally the timepiece has a modest brushed stainless steel case measuring 42mm (excluding pushers, crown and lugs). What makes this timepiece so enticing is the cool black dial with contrasting (SuperLuminova coated) white numerals and hands. 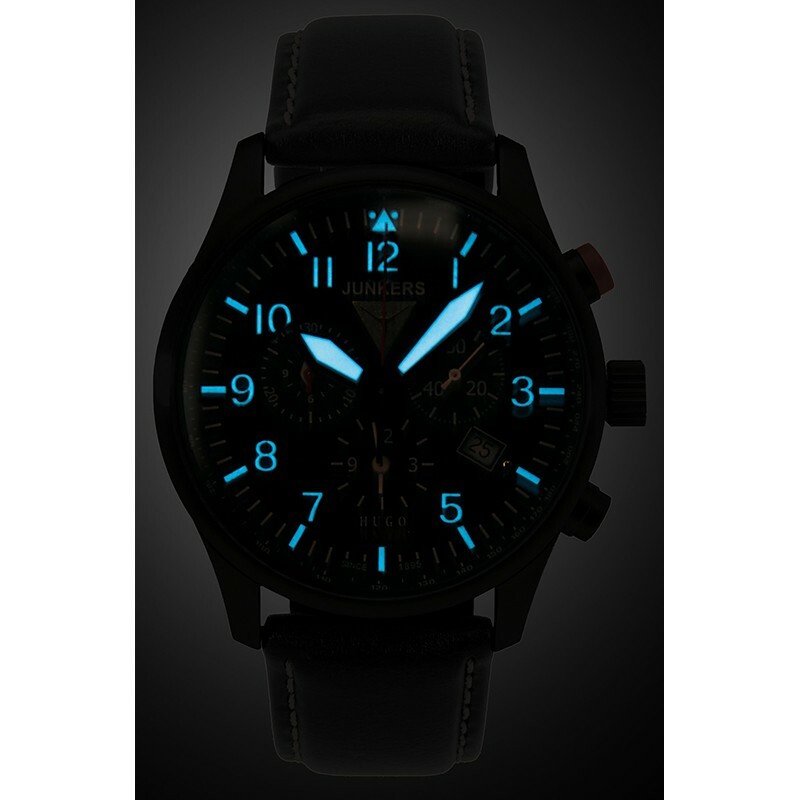 Functionally the watch features hours, minutes, seconds, Chronograph timers, date facility and Hesalite crystal lens. 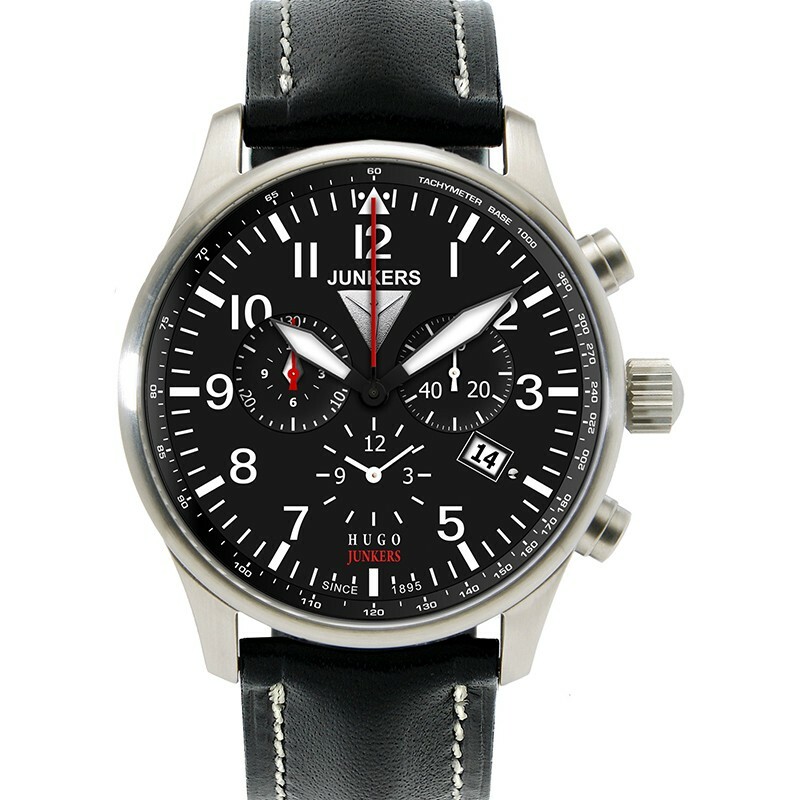 The timepiece is also has a black leather strap and is water resistant to a depth of 30 metres. Powering the watch is a Swiss made Ronda 5130.D quartz movement.